The relaxation trend of using ‘float tanks’ has made it’s way to the region. Floating in one of these tanks has been called ‘the closest thing to drifting in outer space that you can experience on this planet’. The tanks contain 10 inches of water which are saturated with over 900lbs of Epsom salts, making the water more buoyant than the Dead Sea. Mark Okkema is the co-founder of Waterloo’s ‘Flowt K-W’, one of the multiple locations in the region that offer these tanks. He says that when you enter one, you lose all senses– including sight and touch. He adds that a regular ‘float’ lasts for about 90 minutes, and that you are deprived of all of the sensory stimulation that can bombard us everyday. He says that once you’re in the tank– there’s many benefits. Experts say research and testimonials show that the reduced effects of gravity while floating can also help with arthritis, inflammation, and deep muscle and tissue injuries. Flowt K-W opened on December 9th, 2015. 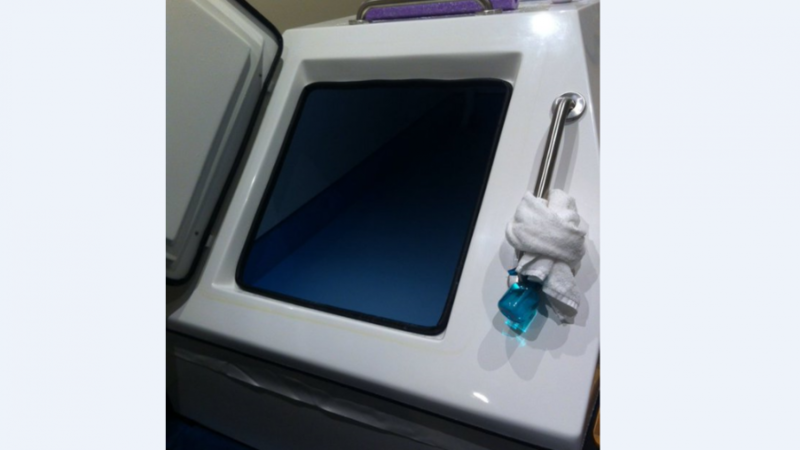 They have four float tanks– each in their own dedicated room with a private shower and tank.